How Often Should You Be Washing Your Towels, Linen, Pillows and Duvets? Washing bedding and towels is one of life’s annoying chores that becomes worth it once you slip into those fresh clean sheets after a hard day of work. But what if after stripping the bed, washing the sheets and hanging them out to dry, just to make the bed all over again you find out that your sheets are not really clean? Specialists claim that washing your bedding should be as important and hygienic as washing our hands. 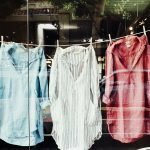 With only 35% of adults washing their bedding once a fortnight, it has become clear as to why and how we should wash our towels and bedding. Our towels absorb dead skin cells and bacteria from our bodies, which survive in warm and damp conditions. Sharing towels could spread bacteria and viruses that lead to skin infections, cold sores and Athlete’s Foot. Therefore, you will want to wash your towels after every three uses insists New York microbiologist Philip Tierno. They should be washed at 60C or more and with an antibacterial product to prevent infections. Also, remember to always air out your towels after each use to reduce the moisture and breeding of bacteria. 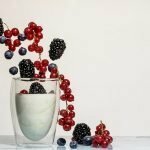 Maeve Richmond, founder and head coach of home organising company Maeve’s Method, says it’s time to throw out towels when they have “retained a musty odour that detergent or bleach just cannot take away”. Bedsheets collect millions of skin cells, bacteria and bodily excretions every day, all which attract dust mites which produce droppings that contain allergens that can trigger asthma, rhinitis and itching eyes. Our beds become the ideal breeding grounds for dust mites as they are warm and moist environments that roughly contains ten million of them. Professor Sally Bloomfield of the London School of Hygiene and Tropical Medicine says, not washing sheets regularly increases the risk of spreading bacteria. 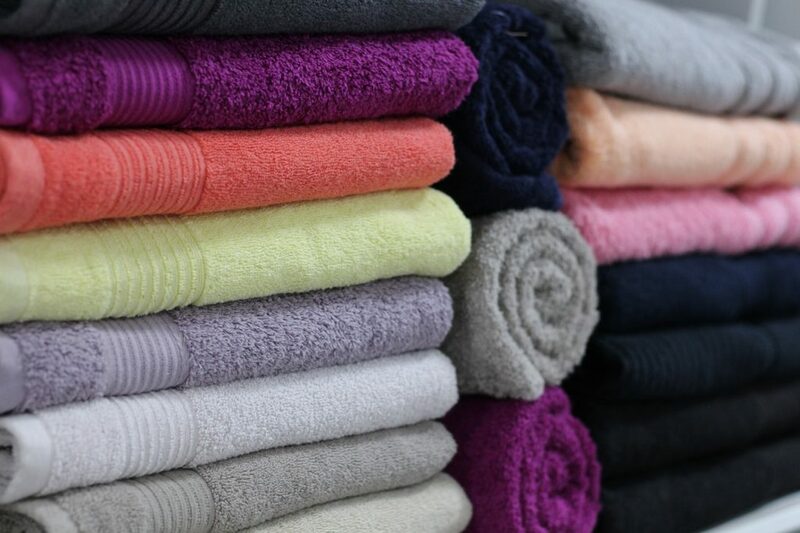 Like bath towels, bed sheets should be washed at 60C once a week to kill the dust mites. In the morning, you should pull back the duvet and open the window to released moisture and humidity. Showering before bed is another way to reduce bacteria build up between your bedsheets as it cleanses your body from sweat and brushes off dead skin cells. Pillows, whether they are made of feathers or synthetic materials, can contain bad odours and stains as well as bacteria. Over the years, pillows collect dead skin and dust mite faeces. Sara Wadsworth from The Fine Bedding Company says, pillows need to be washed every two years. Synthetic fillings should be washed at 60C to kill off dust mites, whereas feather fillings should be professionally dry cleaned. In order to prevent dust mites creating infections and to help prolong the life of your pillows, you should use a pillow protector and never sleep without a pillow case. Another trick to remove dead skin and moisture from pillows is to pop them in the dryer once a week for a quick spin. Bed bugs, that cannot be seen by the naked eye, hide amongst our sheets, duvets and pillows- frequent washing at high temperatures is the only way to kill them. 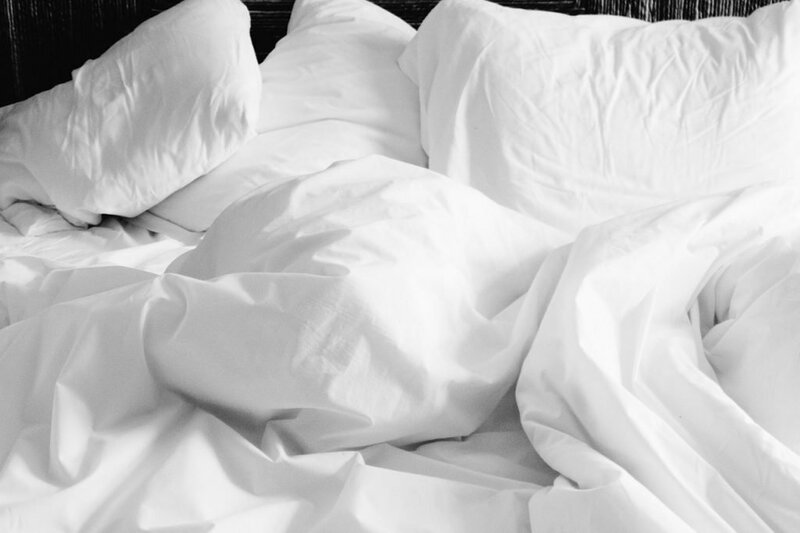 We use our duvets every day, so it’s no surprise that they too can harbour live and dead dust mites and skin scales and fungus which can lead to allergies such as rhinitis and infections such as conjunctivitis, says Johnson Cleaners. Duvets should be washed every few months or at least twice a year, and should be replaced every five years. Maeve Richmond explains that we should ideally wash our duvets to the changing of the seasons. Like our pillows, we should wash our duvets at 60C to kill the dust mites and remember that feather fillings should be dry cleaned. Aim to dry your duvet in the sunlight to help kill microorganisms or run a warm iron over it in the winter to kill any remaining bacteria once dry. Washing our bedding and towels should be part of our weekly routine – and sometimes even more often; there are hundreds of reasons why we should be continually washing our sheets. Keeping up a weekly routine and washing at the right temperature will ensure each of us of a clean and healthy lifestyle by reducing the risk of infections.